Like myself, Adam Savage went to the traveling Stanley Kubrick exhibition at LACMA last year and stayed several hours, just absorbing all the genius, from the scripts to the slates to the blueprints and the costumes to the props. Unlike myself, he went back two more times, that lucky man! 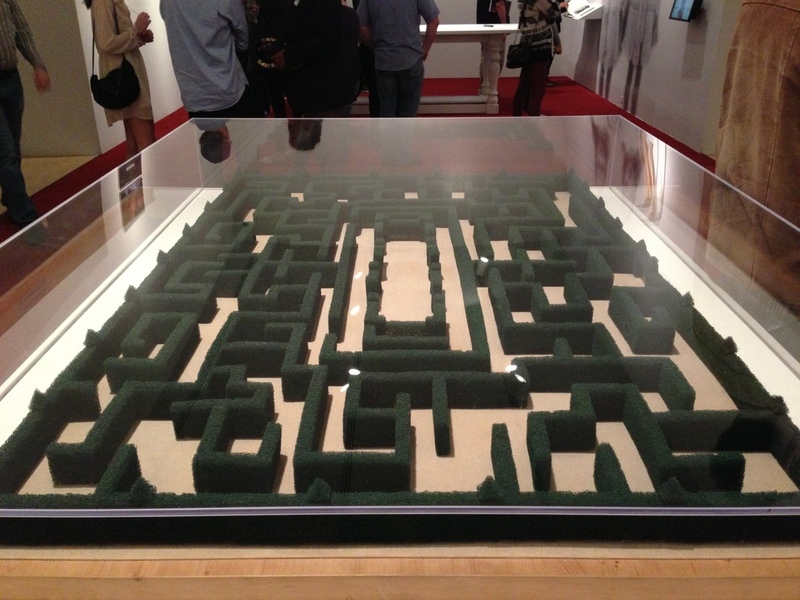 Because the Mythbuster noticed that the Hedge Maze prop in The Shining section did not look like the one in the film in any way. In fact, it looked kinda cheap. 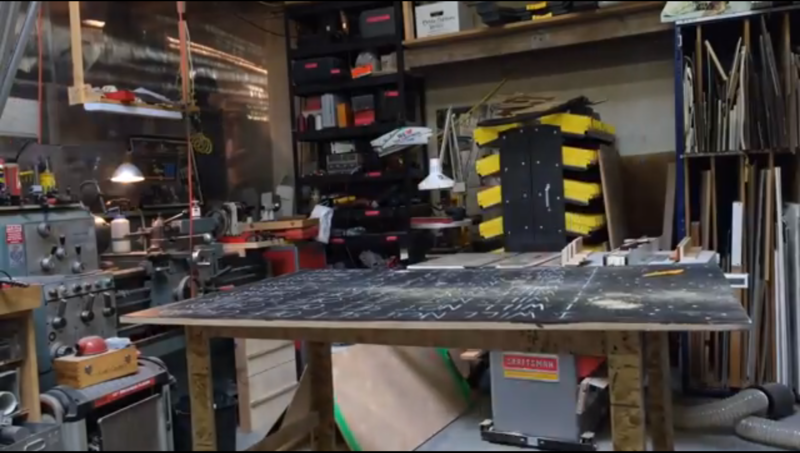 So, being Adam Savage, a man for whom prop-making is one of a series of childhood obsessions turned jobs, he set out to accurately recreate the maze model from the film. Savage’s energy is infectious and if some of us had the time (55 hours total) and income to do this--and an understanding spouse--wouldn’t a lot of us love to travel down this rabbit hole? The film ends with a nice surprise that I won’t spoil, but let’s just say the universe gets set right for once. P.S. Does anybody know what is written on Savage’s worksheet? Is it his version of “All Work and No Play...”?